The Kettering Land Lab was started almost 13 years ago and some of its earliest visitors are now in college! 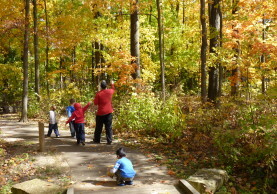 This program provides environmental education opportunities for children enrolled in the Kettering City School District. With the support of the schools, teachers coordinate and arrange visits to the parks through the staff at the Habitat. 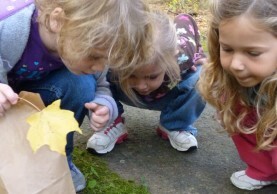 The Land Lab curriculum was developed with the assistance of teachers and naturalists and its mission is to educate children and young adults about the natural world. The program is a cooperative effort between the Kettering City School District and the City of Kettering Parks, Recreation, and Cultural Arts Department. 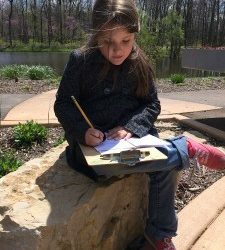 The natural areas of Pondview Park and Southdale Park, as well as the Habitat Environmental Center, become the classroom where students and teachers can experience the wonders of the Earth in every season.